I truly have completely lost all track of time. Up, going at it all day, bed. I know when the day starts because it begins to get “light” outside; bedtime is when I realize it has been dark for a long time and I start to forget what I was planning to do next. I can say with tremendous pride that all the teams have been absolutely crushing it during this mission. From all the great input on my last blog, Blog 2, you are now clear on our Mission, Scope, Objectives and Teams. This blog, Blog 3 will be a “Photo Essay”… let me show you what it is like during a day on GUE’s PB Fiji 2017 Mission here on board the m/y AdVantage. 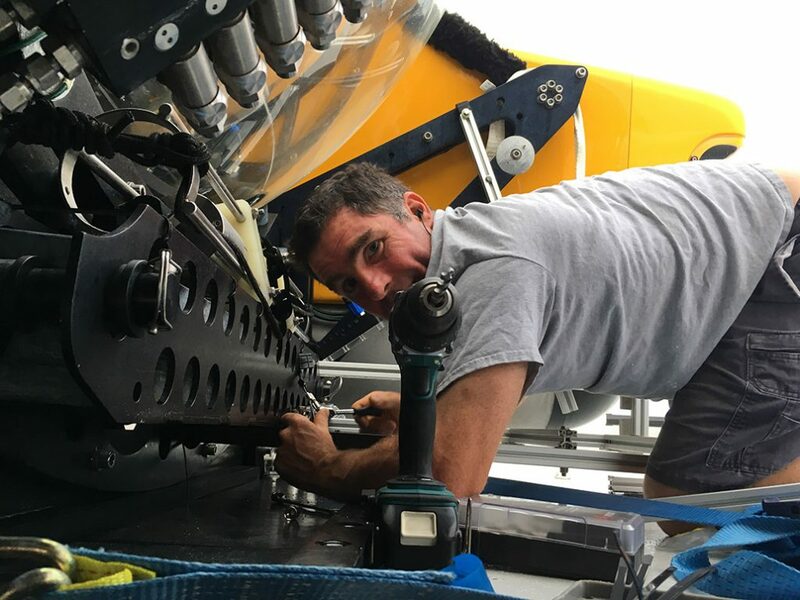 Pilot Barry making necessary checks and adjustments to “Moby” the Triton 3300 3-person sub. 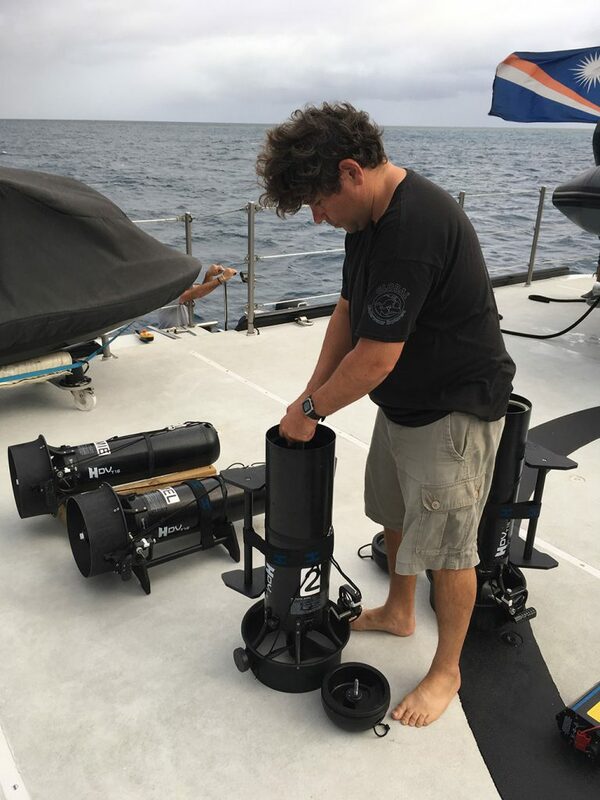 Jamie Obern, GUE Diver from NZ, preparing the 4 underwater scooters that will carry the rebreather team upwards of 2 nautical miles. 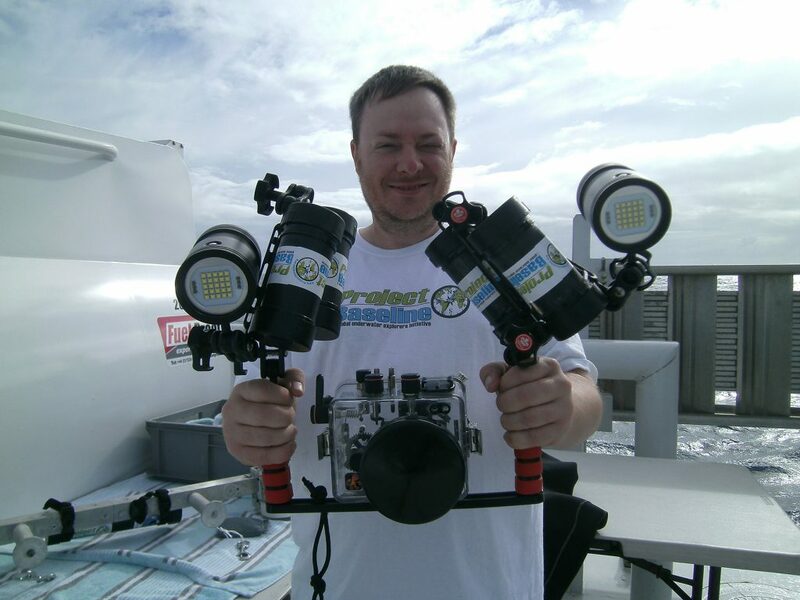 Martin preparing the SVS, Benthic, Diver POV and Panasonic HD cameras for the days JJCCR dive. 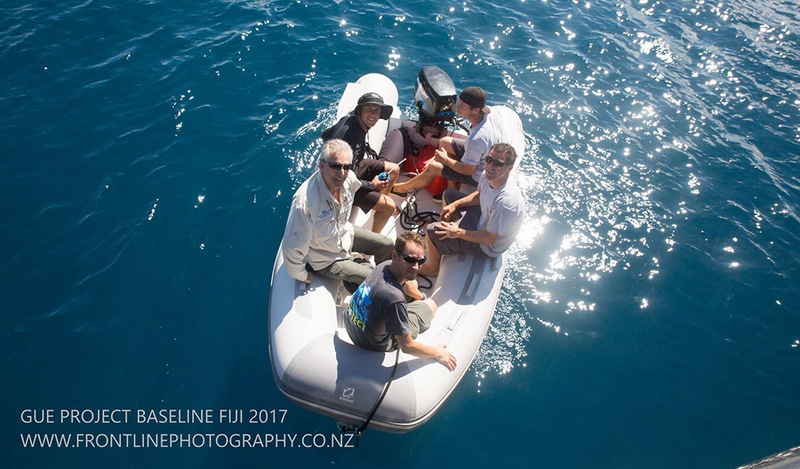 Rob Wilson of Frontline Photography and GUE diver from Tech Dive NZ supporting the camera prep with his personal system. 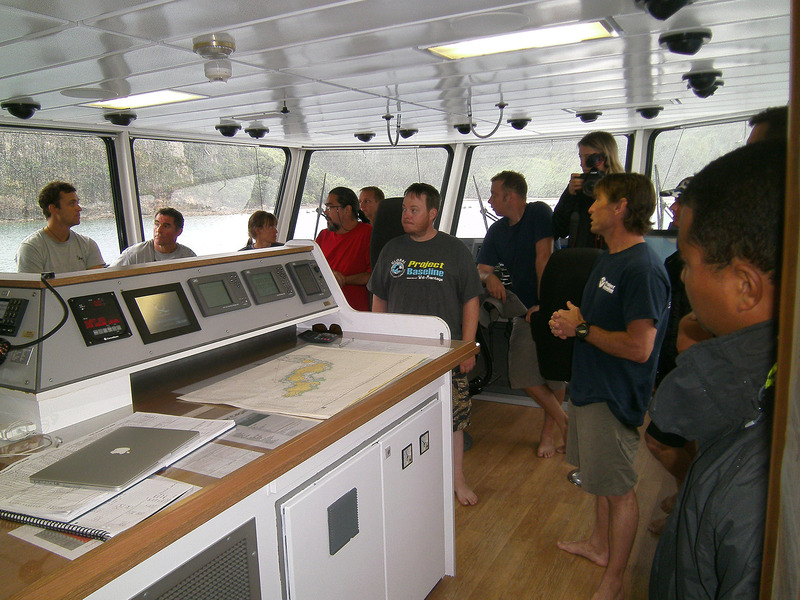 The entire cast of Teams, 17-20 people, gather to discuss the days logistics and goals; here we select the three dive sites and create the daily mission plan for each of the three mission teams and the AdVantage Crew. Once the Morning Project Meeting is complete, each team individually break-out and conduct team specific meetings. 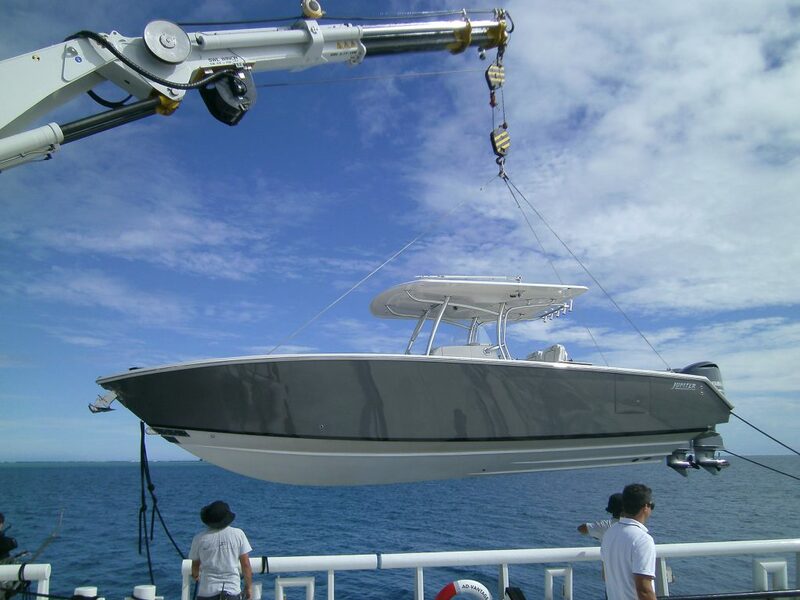 While this is done, the Advantage crew begins prepping the necessary tenders for the days work. The “Rupert” being loaded in with the ships monster crane; 20-Ton. This is the primary tender for dive operations. 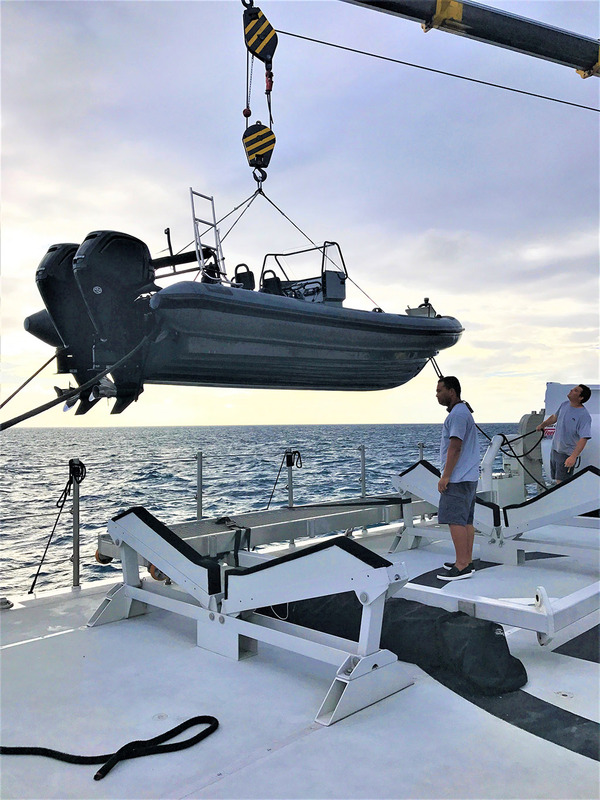 The “Jupiter” a 34’ Center Console workhorse specifically used for Sub-Ops; Once the sub is loaded, the Jupiter tows the sub to the dive site. 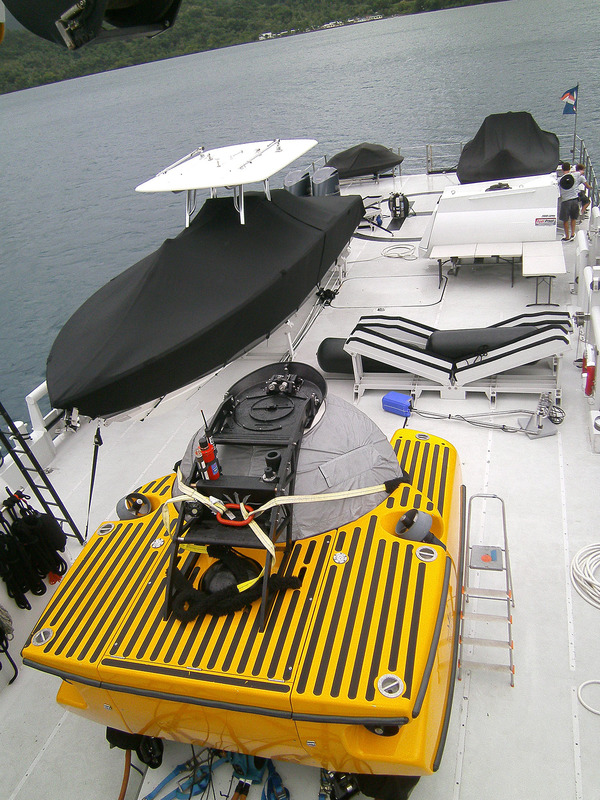 The Triton 3300, Moby, ready for action. Now please, keep this in mind…The “before” photo? That is what the deck looks like at the end of the day! 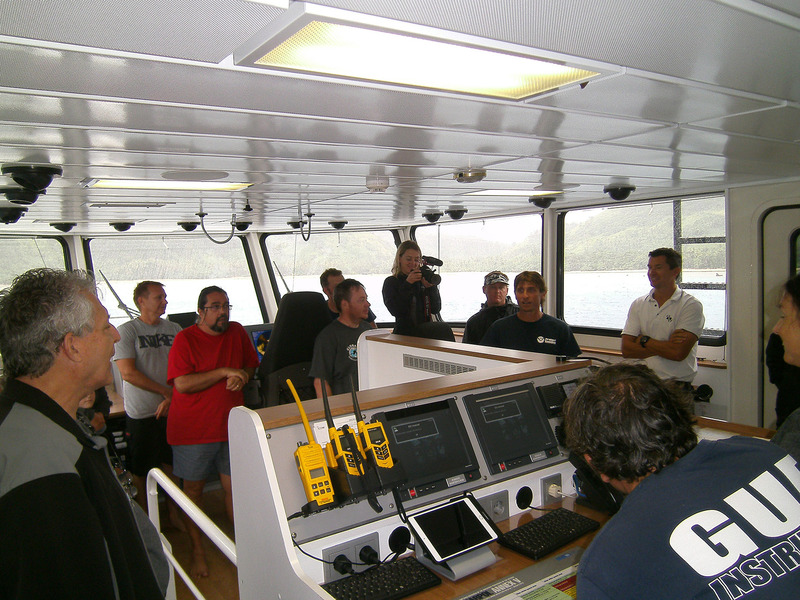 Yes, the crew of the AdVantage puts all the tenders and the sub back on deck each night! It is quite a sight to experience. 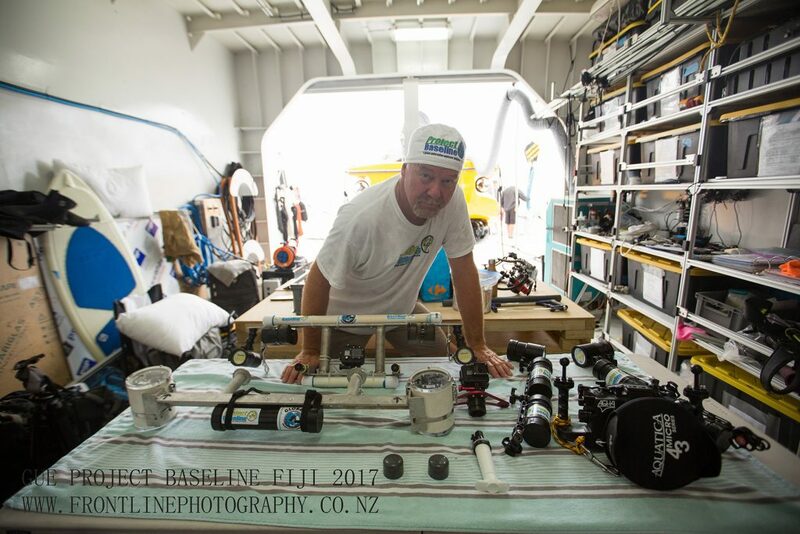 Mission Divemaster, Russel Hughes (L) works with Scientist and diver, Brian Walker (R) and Project Baselines Communications Director and GUE Diver, Amanda White (you figure it out) as they prep for the morning Science Dive. The Sub Team is being loaded into Moby with the inwater launch crew. In the sub is the pilot and 2 science observers. Time? 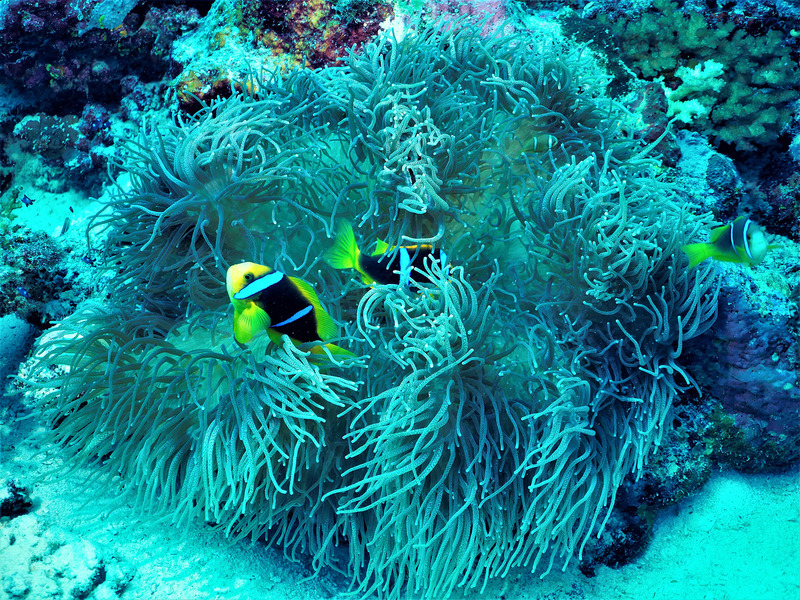 About 10am and they will return about 1pm to 4pm depending upon what they find on the bottom – a possible 3 to 6 hour dive. Time? 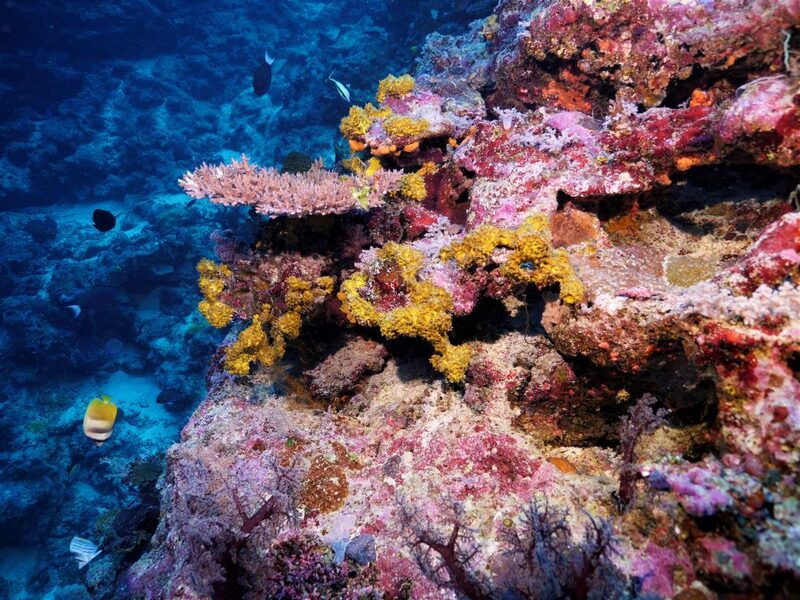 10a to 11a w/ a return around 4p to 5p: 4-hour dive plus entry and exit. 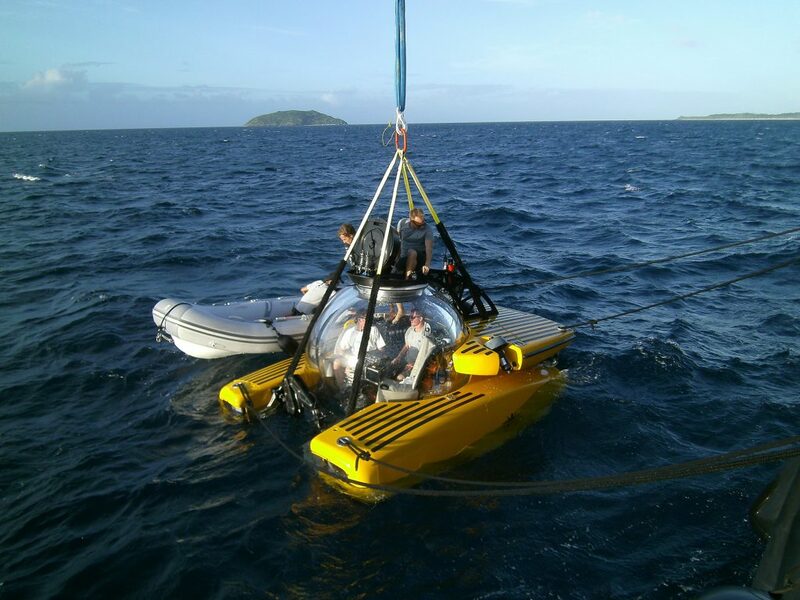 Then between the hours of 1p and 5p, the Sub Team returns and the Dive Team’s return and then begins the off-load from the tenders back to the ship (Remember the image of the ship deck? It is empty now but she will be full in about 1 hour after the last team returns). 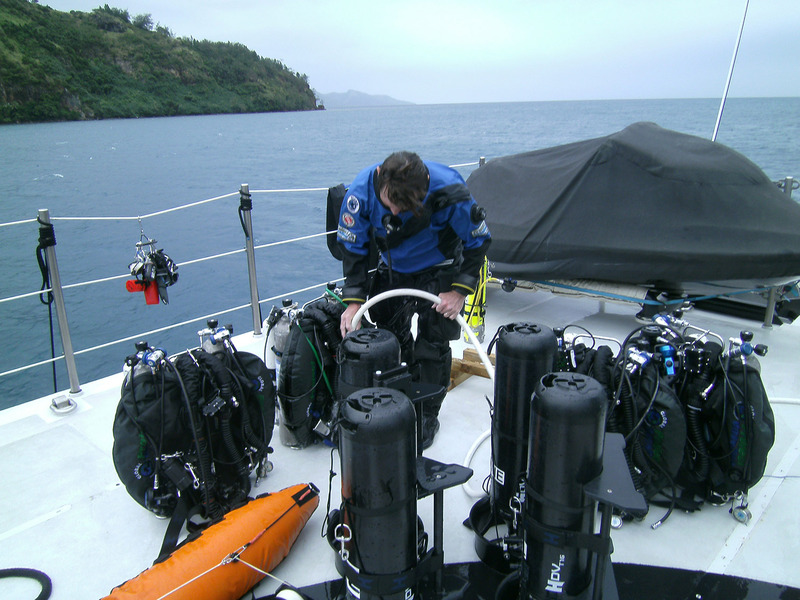 Todd rinsing all the gear: rebreathers, scooters, suits, tow-fish (orange) etc. We once again reassemble on the Bridge and discuss how the day went, how to improve and what we will be doing tomorrow. Now it is time for dinner but you may ask, what about Breakfast and Lunch. That happens somewhere above, when you can grab it, you do. If you miss it, it’s in the cooler but dinner….you do not miss dinner! On this ship, Chef Lisa is an absolutely incredible chef! The food is gourmet and definitely “high class” restaurant quality. 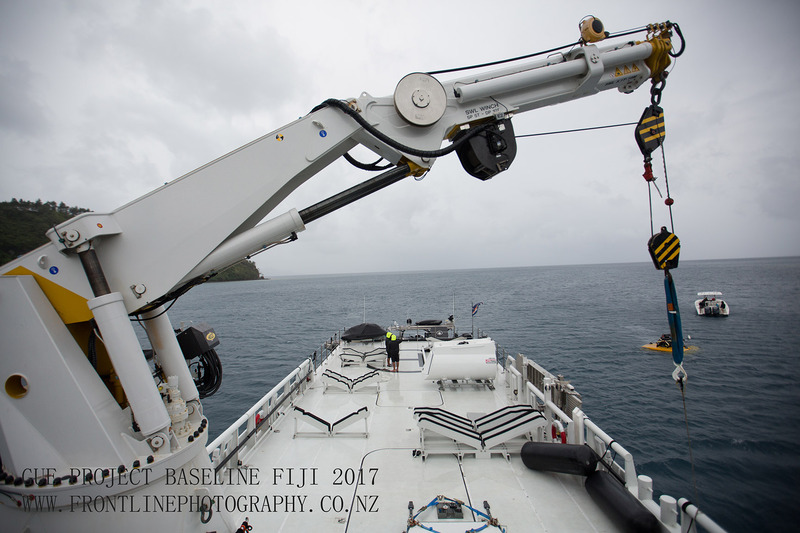 And while we are all organizing data, our Data Manager, Kristie Connely is gathering data from the GPS, CTD water sensor and Moby and sorting all the data we are organizing onto Project Baseline’s global database (free for all to use). Our Data Manager, Kristie Connely, looking for the data from Moby. Me, what am I doing after dinner? I am also organizing data, images and materials for these fun blogs; and then creating them. 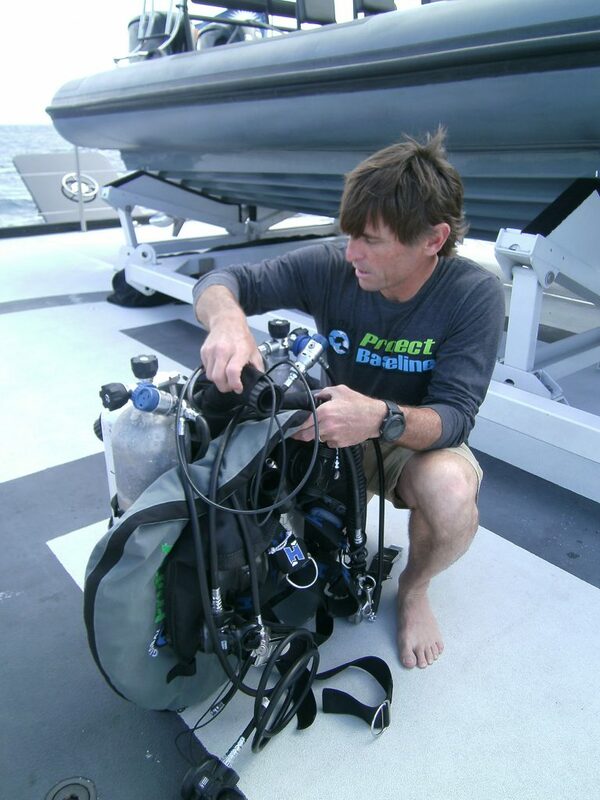 Prepping my JJ rebreather, getting camera batteries charged and chips reformatted and replaced into the proper cameras, cleaning camera housings, checking camera lights and batteries and drying my personal equipment, charging my dive light, drying my drysuit undergarments as me in a drysuit in 84-88 degree water is an absolute sweat bath inside what should be a “dry” suit, fixing broken gear and whatever else needs to be logistically done so the next day’s dive is fun, safe, memorable and Mission productive! I sign-out on this blog by saying that each day is exhausting but fulfilling! We are doing some great work here. 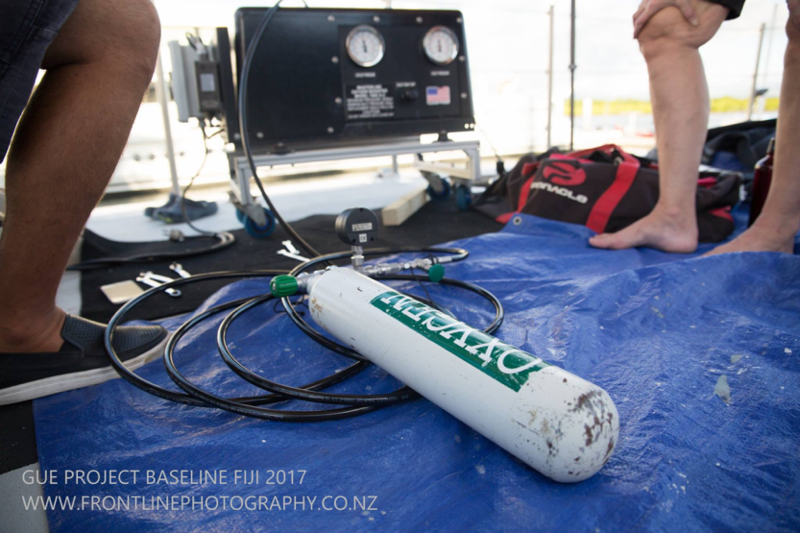 We are establishing a presence and building a tremendously professional reputation for Project Baseline and the important work that is being done Globally by all our 60 plus Global projects and we are demonstrating how we can function successfully on a ship that is normally not used for “scientific” research expeditions. 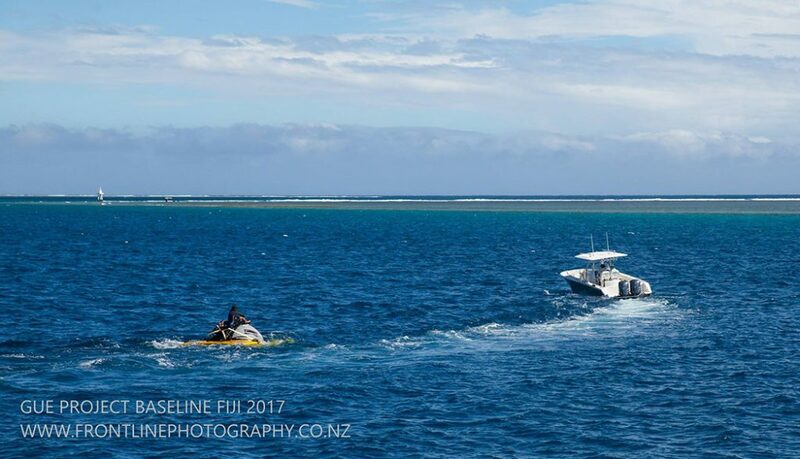 I hope you are enjoying these Fiji trip blogs and that you are sharing them with all that you love. 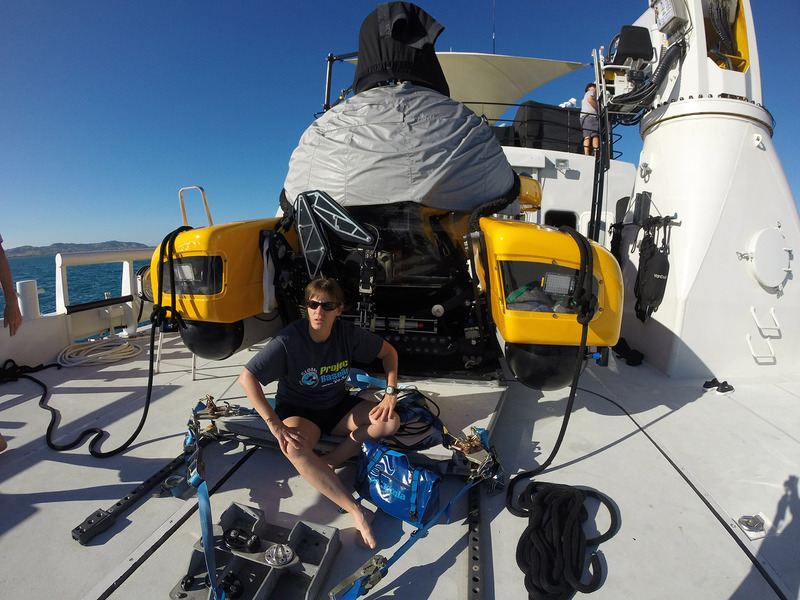 Next blog, probably 26 or 27 May…stay tuned! 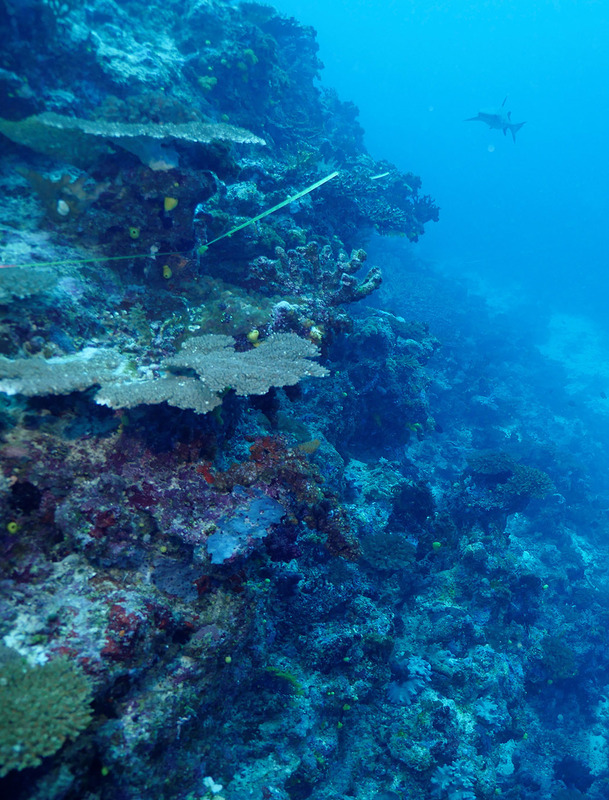 Here are a couple of photos (Photographer: Me) of what we get to see during our 4-hour dives…I call it “underwater sugar”! Enjoy!